Storytime with Guest Author Dawn Wynne, "The Miracle Mitzvah Moose"
Storytime is held the first Saturday of every month at 10:30 AM with appearances by different guest authors. There is a related activity or discussion planned for each title. MOONBEAM CHILDREN'S BOOK AWARD WINNER. A young girl named Abbey feels sad and lonely after moving to a new home. On the first night of Hanukkah, she spots a moose outside her window which seems intrigued with the lonesome child. When an antler of the moose's rack becomes illuminated by the light of the moon, Abbey feels a connection and she looks for the animal nightly. As the moose appears and the meaning of Hanukkah is understood, Abbey believes in the possibility of her new life. She begins a journey to help others. When she gives, she receives in return and understands that transitions give opportunity for new and rewarding experiences. Children of all faiths and religions will connect with Abbey and her stuffed animal Moosey. Parents will love the value it places on doing good deeds, especially during the holidays. Whether you celebrate Hanukkah, Christmas, Kwanza, the message is universal: true joy comes from giving. Dawn Wynne is an award-winning teacher with more than 15 years experience teaching students. She was honored with the Teacher of the Year award and the Superintendent's Award for her teaching excellence. Her first book, I Remember When... was an Indie Excellence Finalist. Earth Remembers When is the recipient of two children's book awards. Dawn also contributes to the Huffington Post. 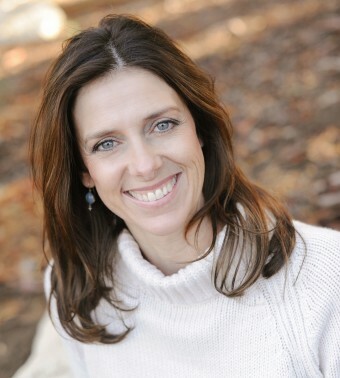 In addition, Dawn is a certified health coach working with families to create greener, healthier lifestyles.